If you are like me, then when you went to school, you probably learned about the nine planets in our solar system. Then, tragically, in 2006, the International Astronomical Union (IAU) set the official classification of what a planet was; and Pluto didn’t make the cut. Now, we have a controversy surrounding our favorite frozen rock. But why is this a big deal? The word ‘planet’ comes from Ancient Greek “astēr planētēs” which means “wandering star”. Since the five classical planets (the planets visible to the naked eye) appear bright like a star and their motions are visible to the naked eye, these planets have been known for most of human history; simply because they are easy to spot. In the 16th century, with the introduction of Heliocentrism, Earth joined the planet club and became the sixth planet. In the 18th century, Uranus became the first planet discovered by telescope. Astronomers observed weird fluctuations in the orbit of Uranus and in the 19th century, Neptune became the first planet discovered by mathematics with the use of Newtonian physics. This is arguably one of the greatest mathematical achievements of the 1800s. Pluto was originally thought to be much larger than Earth and was easily accepted as the ninth planet – a title Pluto kept even when scientists realized it was much smaller. Even though theories trying to explain Pluto’s existence ranged from comet to discarded Neptunian moon, Pluto was widely accepted as a planet until the late 20th century. Following the discovery of similar, yet smaller, objects in the Kuiper belt, along with Pluto’s moon (which is about half of Pluto’s size), a growing number of scientists were arguing in favor of Pluto’s declassification. The discovery of Eris, a Kuiper belt object 27% more massive than Pluto, in 2005 lead the IAU to set an official definition of what a planet is. As we all know, Pluto was reclassified a dwarf-planet, a title it now shares with four other bodies in our solar system. During this discussion, the IAU had the potential to dramatically reshape our solar system by opening the floodgates to dozens of new ‘planets’ or by tightening the belt. This discussion, though, was not without its political and non-scientific emotions. Neil deGrasse Tyson believes that Americans in particular have a special non-scientific attachment to Pluto. The dog ‘Pluto’ from the Disney cartoons was named after the then-planet and an American discovered Pluto. The scientists on the New Horizons mission were also personally attached to Pluto’s status as a planet. Earlier in 2006, they had launched the billion-dollar spacecraft to go visit the last of the planets – the only planet Voyager didn’t see. 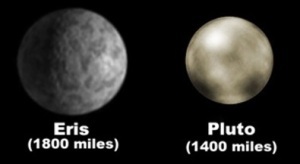 Likewise, Mike Brown, one of the astronomers who discovered Eris, is credited with saying “any object larger than Pluto should be a planet.” This means, since Eris was thought to be bigger than Pluto, Eris would be a planet and Brown and his team would be one of only four people in human history to discover a planet. The emotions also run on the other side of the spectrum. For the first time in human history, we had the technology to observe and classify thousands of objects in our solar system, potentially discovering dozens of new planets. 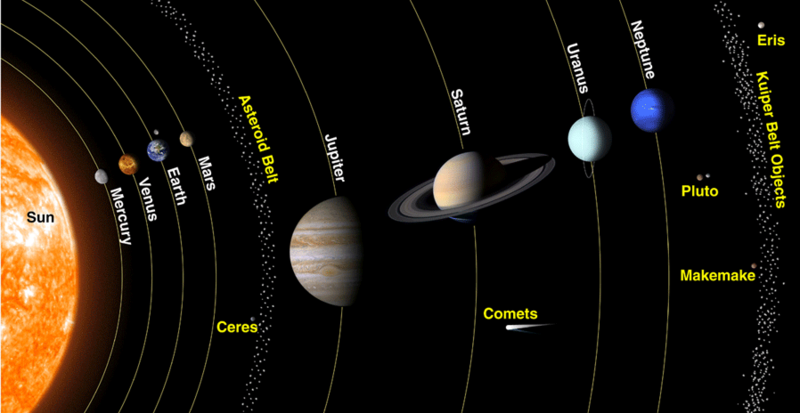 The name planet is near and dear to our hearts since Earth is a planet and the planet club has always been very small. All of the sudden, the term ‘planet’ starts to feel a little crowded when you need more than ten fingers to count them all. That being said, when you realize that Pluto crosses the orbit of Neptune, then the letter of the IAU definition also excludes Neptune from the planetary club – so, it is obvious the gravitational dominance stipulation is there to keep Pluto-like objects out of the club. Even though the IAU has dutifully stuck to its definition of a planet, some scientists believe it won’t stand the test of time. 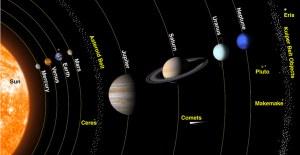 They argue that the IAU definition will fall in 2015 when the New Horizons mission reaches Pluto and when the Dawn mission reaches Ceres (a dwarf planet in the asteroid belt), revealing the objects in question to be new and dynamic worlds. Whether Pluto will return to its planetary status or remain a dwarf planet, one thing is for sure. The Pluto controversy has hurt science. The public did not know why Pluto was being reclassified and many didn’t care. The only thing they knew is a bunch of scientists got together and voted to take Pluto away. Mysteries in Physics: Where is All the Antimatter? What is the “Oh My God” Particle?